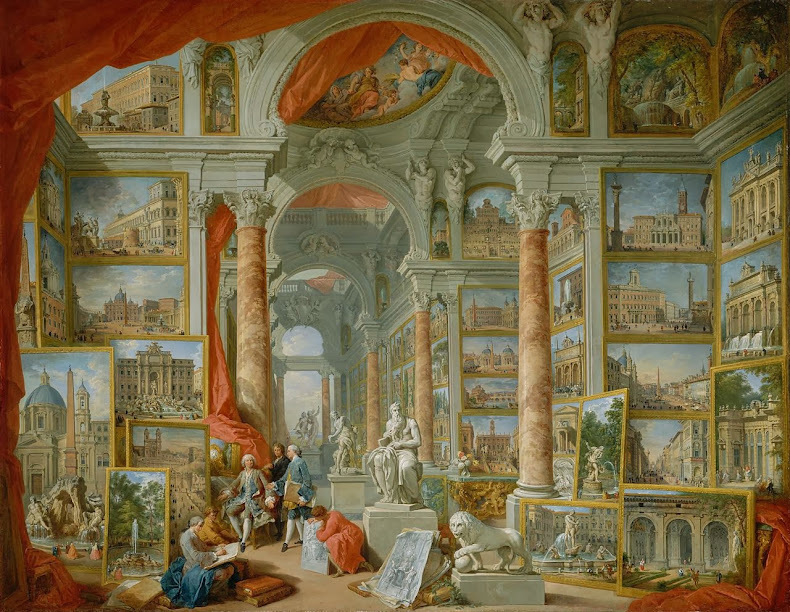 Before photography and the Internet, knowledge of art collections spread through art itself, as collectors and artists collaborated to show their worth, especially in painting. 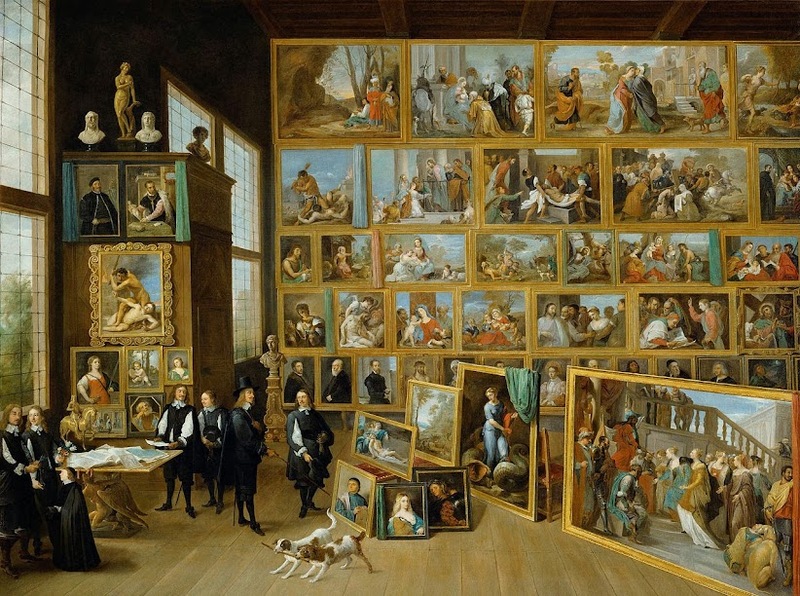 This resulted in a genre of paintings about galleries of paintings, which was popular in the 17th and 18 centuries. In these two works, the painted sculptures do exist in Rome, but the paintings do not. 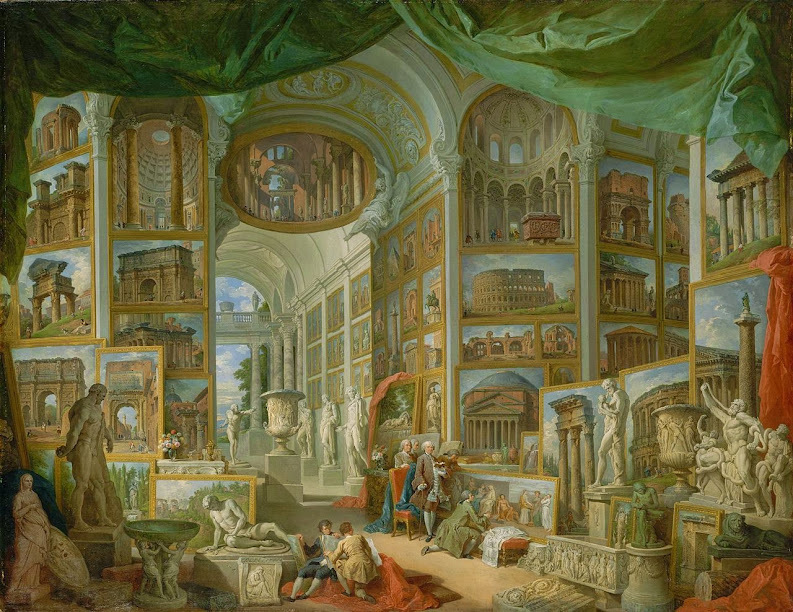 They are different views of famous Roman buildings that were specifically created by Panini for this series on views of Rome. They cannot be seen anywhere else. 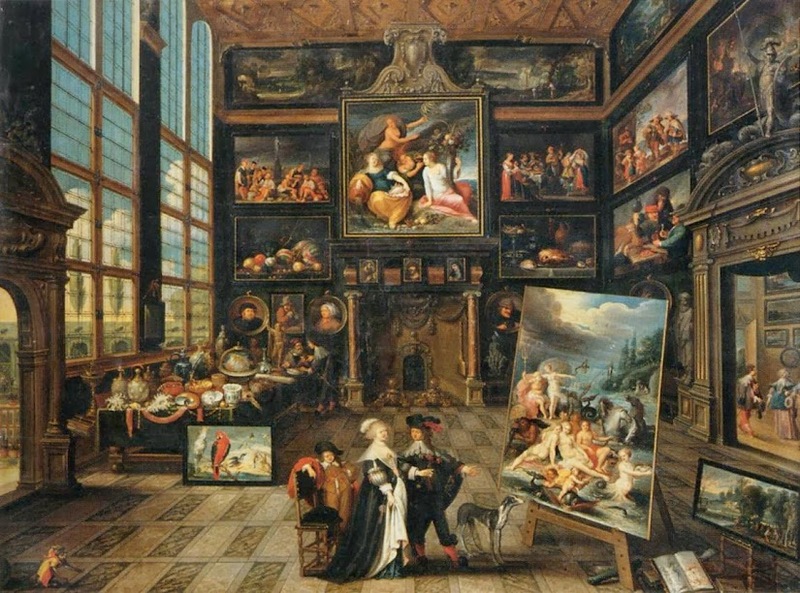 The genre of paintings of paintings disappeared in the 19th century, but the commentary of painters on their art did not. In a way, it was just beginning. 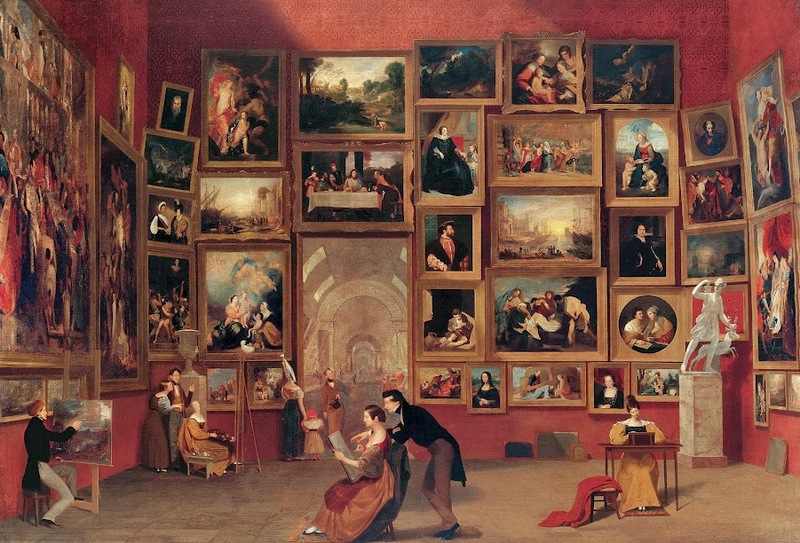 With Modern Art around the corner, painting was about to be questioned like never before.